As the state capital of California with a rich history of fortune, opportunity, and independence, Sacramento is a popular destination for students all over the state when it’s field trip time. From gold panning to touring underground areas of the city long forgotten, elementary schoolers have plenty of opportunities to learn, explore and appreciate their state of origin. The State Capitol building is the focal piece of downtown Sacramento and includes a museum that offers school tours. This is one of the best opportunities for students to experience a crash course in state history that includes plenty of exhibits, collections, and lessons in civics and economics. Groups are designed for groups of ten to 35 people and are free. It’s recommended that one chaperone accompanies every ten students. Also at the museum students can journey down to the basement theatre for complimentary films showcasing California’s history. The Old Schoolhouse Museum is a tribute to the days of one-room schoolhouses and an excellent opportunity for students to experience what school was like for children their age way back when. School groups head over to historic Old Sacramento to venture through the one-room schoolhouse replica which includes fully-costumed teachers who pull children into a 19th-century educational world. The schoolhouse was established and is run completely by volunteers who have a true passion for California state history. The schoolhouse is free to visit and field trips are sponsored by a local Parent Teacher Association. A suggested donation of $10 per class is requested. Tours may be booked by calling (916) 939-7206. Every year, thousands upon thousands of California fourth-graders travel to Marshall Gold Discovery State Historic Park during their year-long study on California history. Here the children see the original site of gold discovery and learn about how it affected the local and national economy. Kids learn to pan for gold, meet “locals” donned in period clothing and participate in various crafts suitable to the era of 1849. Bonuses include a souvenir shop, ice cream at the Argonaut and a chance to play along the river. Marshall Park is a great way to get some education into the mind of a child through play and interaction – many won’t even realize they are learning! Tours can be arranged by calling (530) 622-3470. Marshall Park is located near Sacramento in the town of Coloma. One of the most interesting destinations for a Sacramento history lesson is known only by locals – but its popularity is growing. The Old Sacramento underground walking tour is one hour long and includes the viewing and exploration of excavated foundations and enclosed paths as you see a long-buried ghost town version of Sacramento. Tours are great for kids due to uneven walking surfaces, low ceilings and audio headsets to add to the fun. Tickets cost $10 per youth aged 6-17 and adults are $15. Special pricing is available for tour groups, including those coming with a school. Call (916) 808-7973 for reservation information. Old Sacramento is also home to a variety of educational programs that are free of charge and encompasses a wide range of topics. The Old Sacramento Puppet Show, for example, is a 20-minute program that features colorful characters discussing the Gold Rush, the coming of the railroad to California and life in Sacramento during the days of the Wild West. An hour-long program entitled Agriculture and Life on the Farm is also available, showing children what fruits and vegetables were grown in Sacramento Valley’s early years, as well as plenty of hands-on learning activities to enjoy. 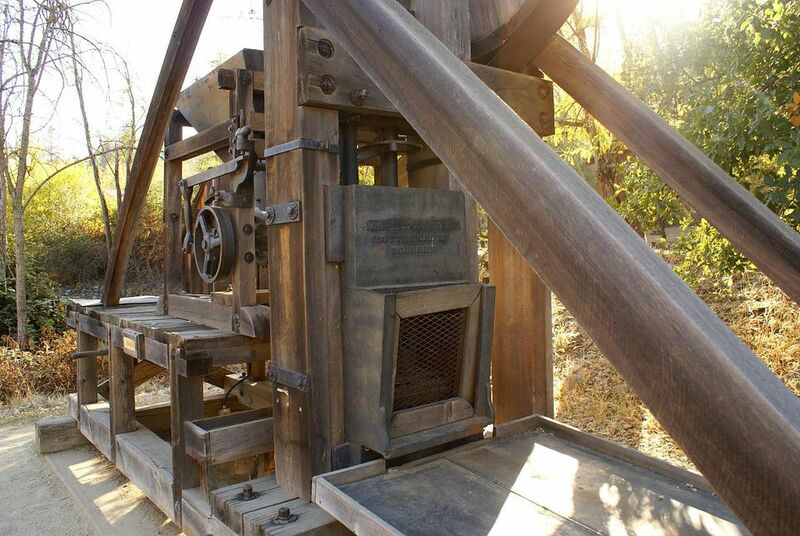 Other programs involve a Victorian-era trunk containing clues into the life of a 12-year-old girl in the late 1800s, information on the California Indians of the region and plenty of features on the Gold Rush of 1849. These are only a few of the tour and educational examples found in Old Sacramento. If you are a teacher or parent and planning a field trip to Sacramento seems overwhelming, there are professional tour groups that can help you experience California history. Educational Discovery Tours will lead groups of students through an expansive tour of Sacramento, including everything from a capitol building tour to gold panning and musket shooting. Hysterical Walks offers humorous walking and riding tours of Sacramento, including a special student field trip program that will get kids aged 3-11 giggling and learning simultaneously. However you decide to peruse Sacramento, there is plenty of educational opportunities to be found in this historical piece of the Wild West located right in the heart of California.